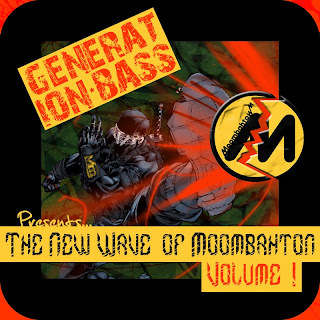 Generation Bass just released a new compilation for all us to enjoy! 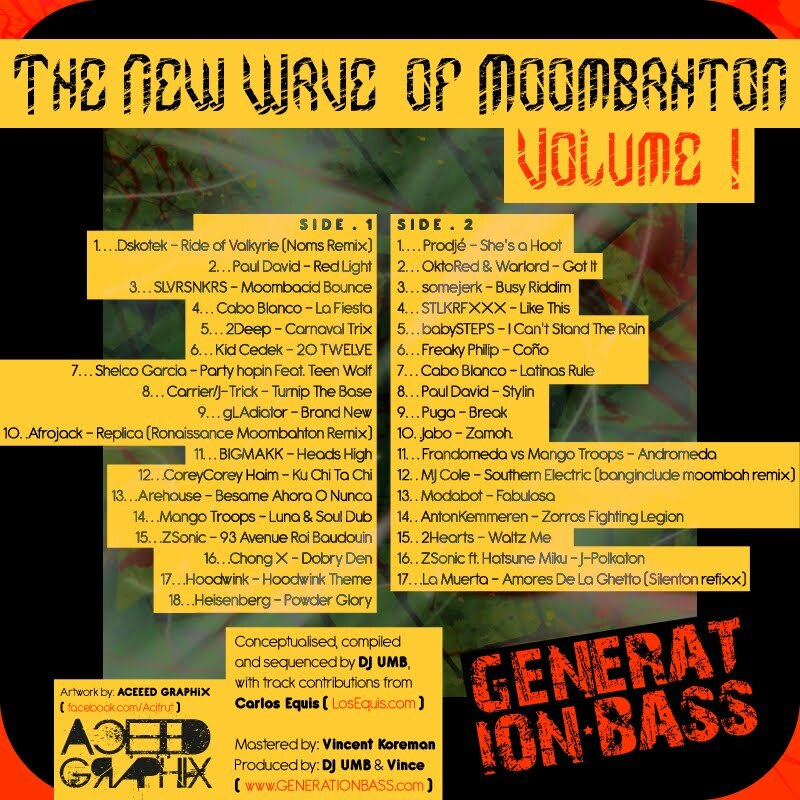 The compilation has over 30 moombahton tracks made by producers from all over the world and I can't be more excited to share this with everyone! 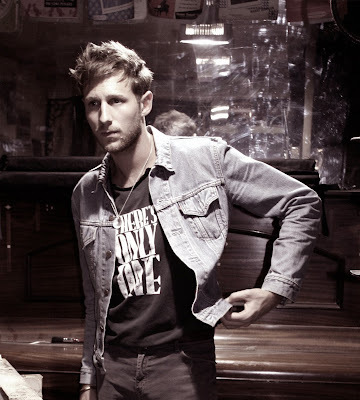 Kid Cedek – 20: T.W.E.L.V.E. Tonight is my official birthday party. 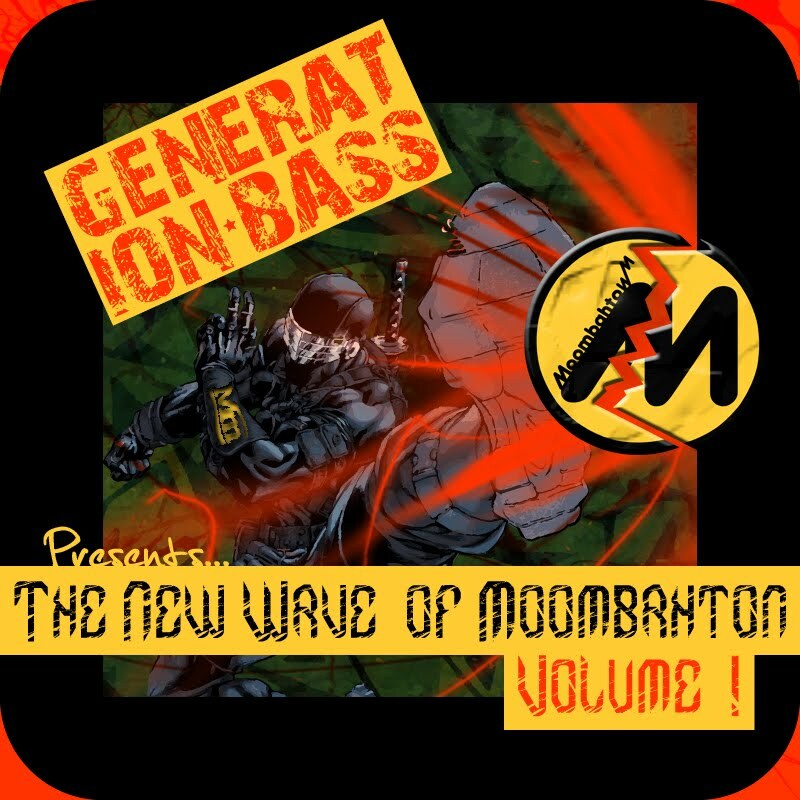 Ultra Cat & myself managed to link up with our friends Rckles Bass Hooliganz, ArntreLA, ChwYrVtmns & our boy ETC ETC. Nightfreq in LA has just BEGUN. I did a post on our other blog Whatsgoodwithit.com. Im running short on time so here is the event info! cheers! 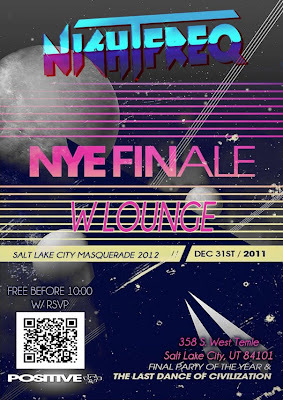 NIGHTFREQ NYE FINALE | 2012 IS HERE! First and foremost we want to thank all you party people for your strong livers and dancing feet that made this year unforgettable. NIGHTFREQ would not have been successful as it has been without your continued support. So thank YOU it truly means a lot to us! YOU are the ones that make the party. As we say goodbye to a great 2011, we want to ring in 2012 right with our friends and make this last day of the year count! Come count down and celebrate with us!! There will be photography so get dressed in your get up. Reminder, this is MASQUERADE-themed event. LET'S GET FANCY! 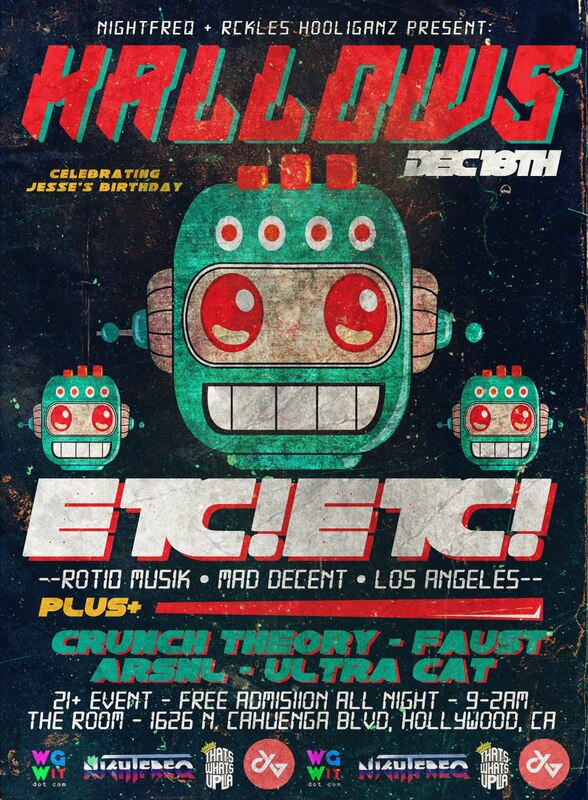 Hallows | December 18th, 2011 | ETC!ETC! 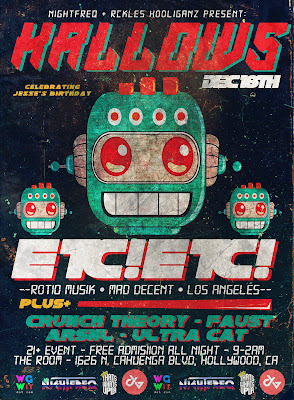 This Sunday, December 18th, 2011, we’ll be celebrating our buddy Arsnl’s birthday in Hollywood, CA at a party called Hallows. Hallows is a monthly party our friends over at RCKLES BASS HOOLIGANZ throw! This month they’re going to have ETC!ETC! come through along with Crunch Theory, Faust, and myself. Jose Geuerrero, aka ETC!ETC!, is a L.A. based electro house DJ/Producer. His music ranges from 108 to 130 bpm. He's recently had major support for his music from heavy hitters like AC Slater, CongoRock, DJ Chuckie, Felix da House Cat, KissySellOut, Figure, and WolfGang Gartner; just to name a few. He's also the Vice President of ROT10Musik Records. ROT10MUSIK is a label breaking ground for new artists in the scene and building them up to become solid artist. 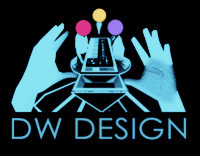 The record label is doing big things right now, make sure to check out their website ! A couple months ago in Long Beach, California at a party called "Reset" I was able to catch up with him and ask him a couple questions. In this video he explains how he got his name and also updates us on some future releases he has coming out soon! Check it out! That's What's Up L.A. | ETC! ETC! from That's What's Up L.A. on Vimeo. Here's a little sample of the tracks ETC!ETC! is talking about in the video. KissySellOut played a preview of both of the songs that are soon to be released from ETC!ETC! on his BBC 1 radio show. Kissy Sell Out Drops 2 New Tunes! (Hold Tha Line & Bluh!) 9.8.11 by ETC!ETC! 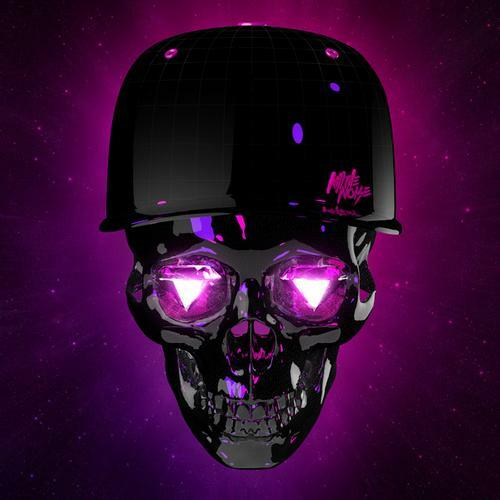 As you guys surely already know that Kill The Noise released his huge debute EP 2 weeks ago, KILL KILL KILL and man it is a psycho killer! 10 heavy tracks and some remixes from Dillion Francis,Brown and Gammon, Alvin Risk and KOAN Sound. On one hand, we have the Italian powerhouse and former Bloody Beetroots acolyte Nima Tahmasebi aka NT89, and on the other, we have London-based Scot Matt Burns, both of whom have been known to descend into epic rave territory in their productions when the mood strikes. So what happens when the two start to work together? Well, Erol Alkan saying 'damn, it's big' should give you one clue. Press play on this bad boy, turn it right up, and you're unleashing some of the most lunatic acid-stabbed drops anyone's heard all year. In any club setting, this would all but drown the audience by 3:30, which is exactly how hard-edged superstar DJs like it. From Attaque's latest mixtape for Bad Life. That's What's Up L.A. ! Nightfreq. Awesome Inc. theme. Powered by Blogger.